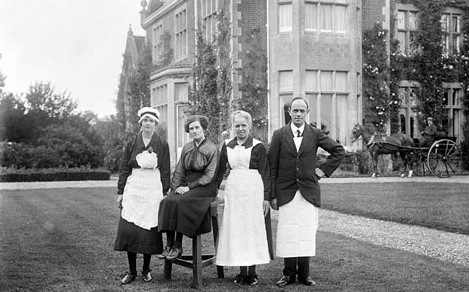 You can learn a great deal about the history a street by looking at professions of the past tenants. In this section I’ve taken the information entered onto the census returns of 1911 and separated the column where the occupants listed what they did for a living to paint a picture of who did what. 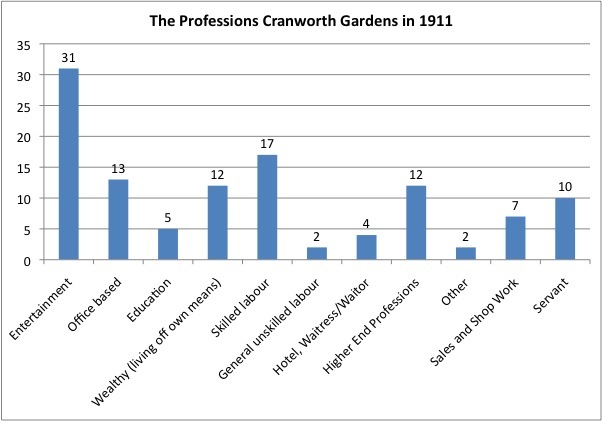 In the next section I have split the professions listed on the census into types of industry, underneath each are the various census entries as written by the occupants of Cranworth Gardens 1911. Civil Servant. First class clerk in HM office of Woods, Forests and Land revenue.